Mobile data analysis applications, online information sources, and wearable medical devices are opening new possibilities to create successful healthcare systems in Australia. 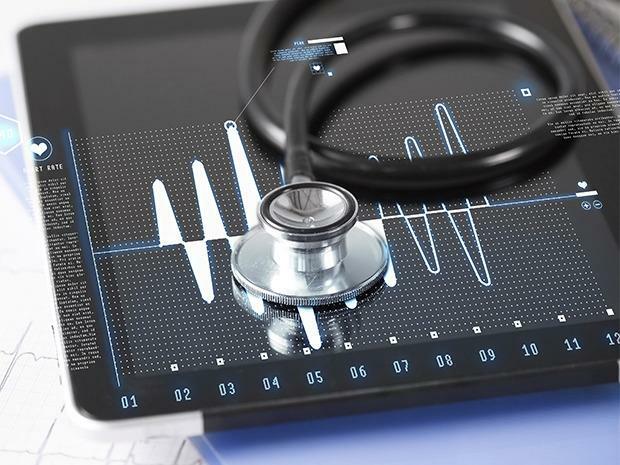 By investing in the Internet of Things (IoT) and connected health technology, healthcare providers could be leveraging significant opportunities for more effective business decision-making. For medical device makers, investing in IoT infrastructure and big data analytics capabilities could hold the key to implementing sustainable healthcare processes and systems. According to Gartner, IoT hardware spending will exceed US$2.5 million every minute this year, reflecting anticipated investments in wearables and machine-to-machine learning. These developments in technology have already led to the generation of the BYOhD (bring your own healthcare device) experience, which has allowed rapidly growing numbers of patients to manage their own healthcare across Australia. As a result, more and more people are switching from being passive patients to ‘activated’ patients. For medical device manufacturers, investing in reliable technology and equipment is fundamental if the future of Australia’s healthcare is to be effectively tech-orientated. For healthcare companies to achieve their goals with minimal strain on their systems, ‘activated’ consumers are vital. While passive consumers place a heavy reliance on doctors and healthcare professionals to address their health issues, ‘activated’ consumers take matters into their own hands. Wearable devices such as Fitbits, at-home monitors for glucose and blood pressure levels, and mobile applications that transmit health-related data, allow these individuals to monitor and control their own health instead of going to the doctor for regular check-ups. Active participation in personalised healthcare has been seen to increase engagement in preventative care whilst also increasing the effectiveness of health practices. In contrast, passive consumers are not likely to participate in preventative healthcare measures, and instead rely on doctors after a medical problem has developed. A Deloitte study also demonstrated a 21 percent lower medical expenditure for activated consumers over passive consumers. Australia’s healthcare model is undeniably a hot topic locally, and recently, there have even been discussions around whether the local model should shift towards that of the United States. Regardless of how the model changes in the future, the Australian government and local healthcare institutions need to start recognising the impact technology could have in order to improve the processes and systems commonly overlooked as the root of the problem. For example, healthcare organisations are often guilty of using legacy IT systems, which can be 20 or even 30 years old. While the cost and resources required to upgrade these can be exorbitant, an underestimated option is keeping those systems in place and leveraging automation or robotics technologies to eliminate reliance on phone calls, paperwork, and repetitive administrative tasks. Furthermore, with data management tools commonly hosting different pieces of patient information in different locations, potential efficiencies in patient treatment and management can be easily missed. While simple integration tools could provide some band-aid effects for short-term impact, it’s critical for these organisations to also regularly review their end-to-end processes and assess where they can be streamlined, shortened, or completely automated. This includes the patient’s end-to-end customer experience, the end-to-end treatment process and management of relevant tools and medicines, and the end-to-end health insurance process from registration to payment. Implementing these changes will not only save on costs and resources, but will also better equip healthcare organisations to serve and appeal to both ‘activated’ and passive consumers. Despite medical and technological advances, healthcare organisations are still faced with the reality that while active consumers with these technologies can easily self-monitor their health, behavioural changes are not drastically changing. An FDA report states that the annual number of medical device recalls increased by 97 percent from 2003 to 2012. Besides, an average of 200,000 product-related customer complaints are made every year about wearable medical devices. Large-scale change needs to be driven by hyper-personalised approaches to customer needs. Device manufacturers, for example, could be utilising data from connected devices and other data sources about consumer interactions and transactions in order to identify customers’ likes, dislikes, behaviours and preferences. This can lead to a more in-depth understanding of their products’ weaknesses, and drive customer-centric actions for improvement. In turn, this can result in more effective ways of engaging consumers, patients and businesses, to create measurable changes in our health nationwide. Also, by using natural language processing and predictive analytics, device manufacturers can foresee issues with the product regarding quality and customer satisfaction, whilst delivering knowledge to use for future product design and customer support. On the regulatory side, decisions need to be made about who assumes responsibility for information collected via technology. For example, who should be responsible in case a patient provides incorrect blood sugar reading? A key question on the payment side is whether a healthcare provider can be remunerated for a “non-touch” service. These are important areas that need to be worked through for technology to drive the benefits promised by IoT. The future of Australia’s healthcare sector will undoubtedly rely on a range of factors, including how and when they start leveraging some of the latest technologies in automation, robotics, and data management. As well as laying the foundations to capitalise on the technologies available today, healthcare, like every other industry in Australia, also needs to prepare itself for potential digital disruption by upcoming technologies such as virtual reality, artificial intelligence, and augmented reality. The more adaptable healthcare organisations of tomorrow will have to be built around these opportunities and the consumer expectations that will continue to change with technological advancements. Alan Fanarof is senior director and ANZ practice head for healthcare at Cognizant.